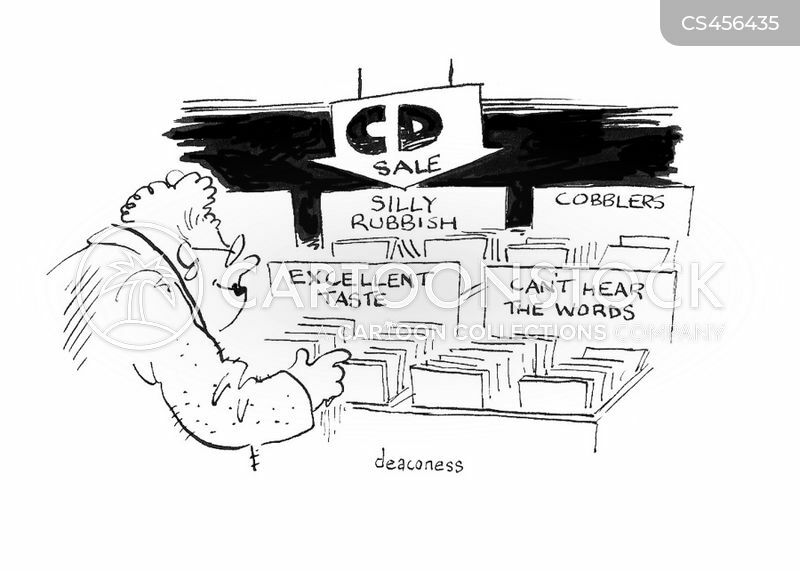 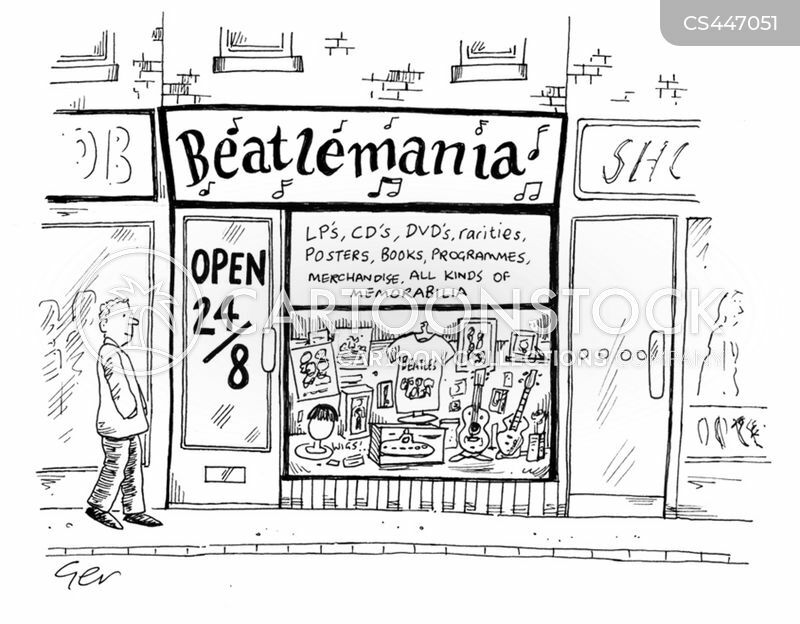 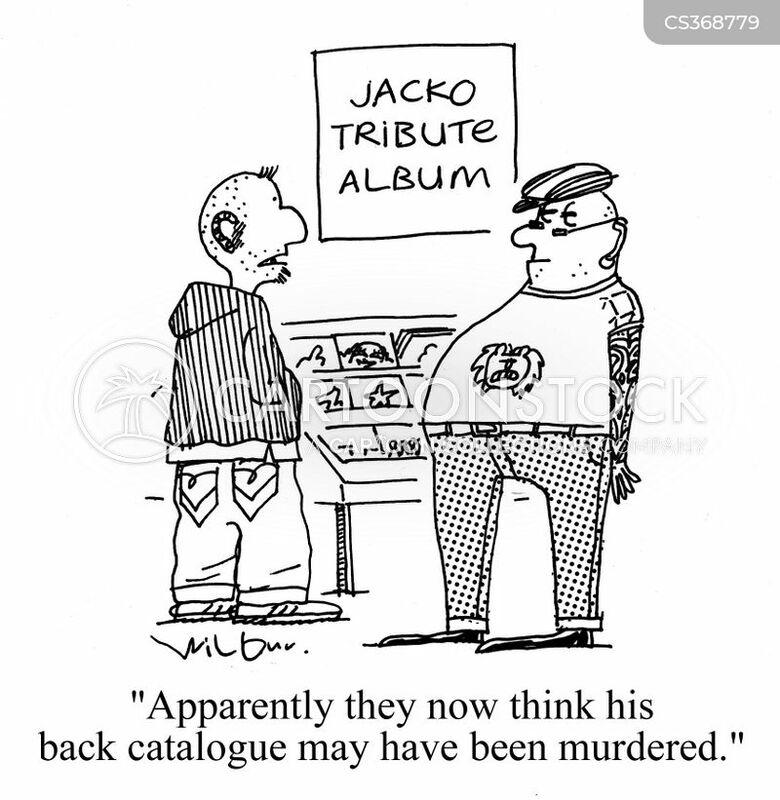 "We don't sell CDs anymore. 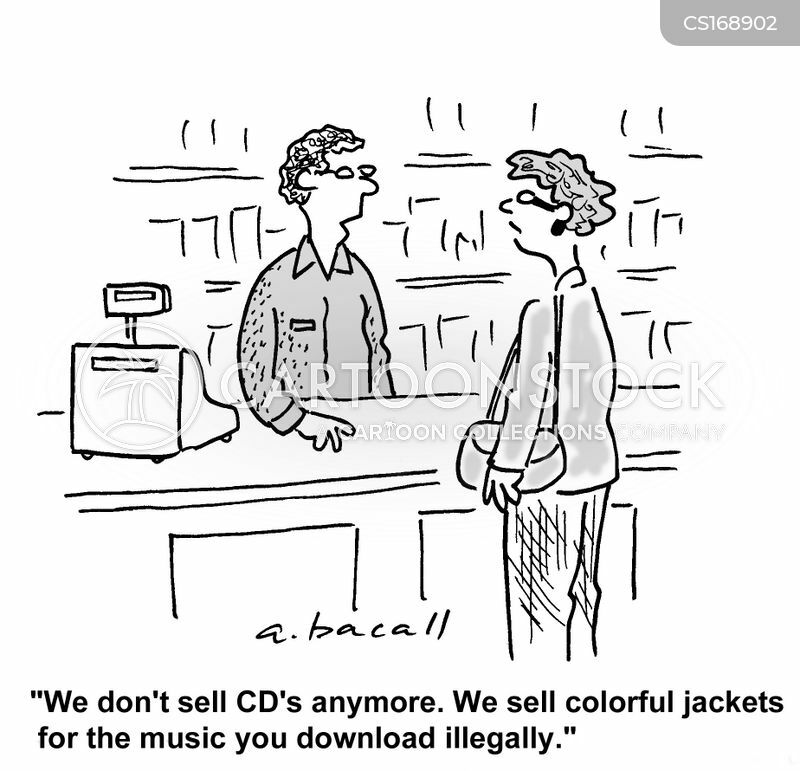 We sell colorful jackets for the music you download illegally." 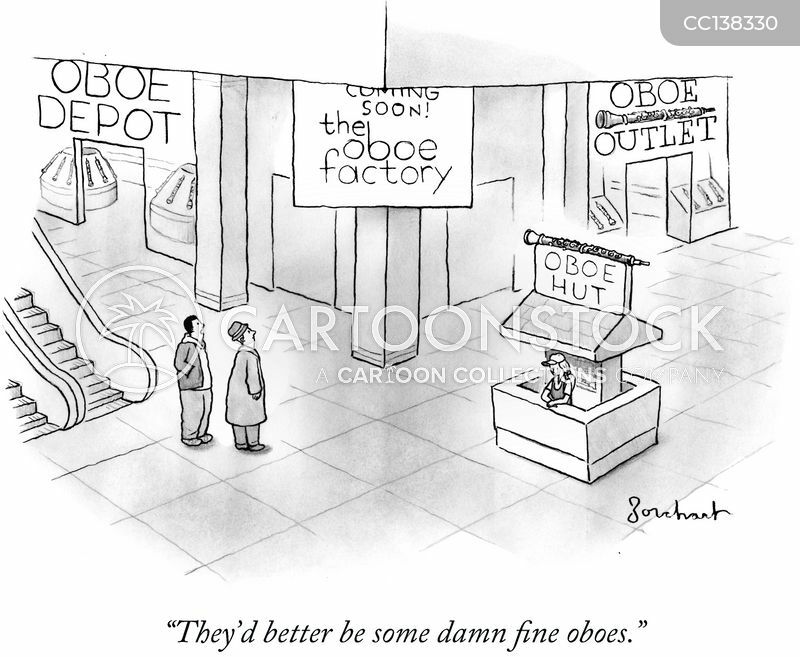 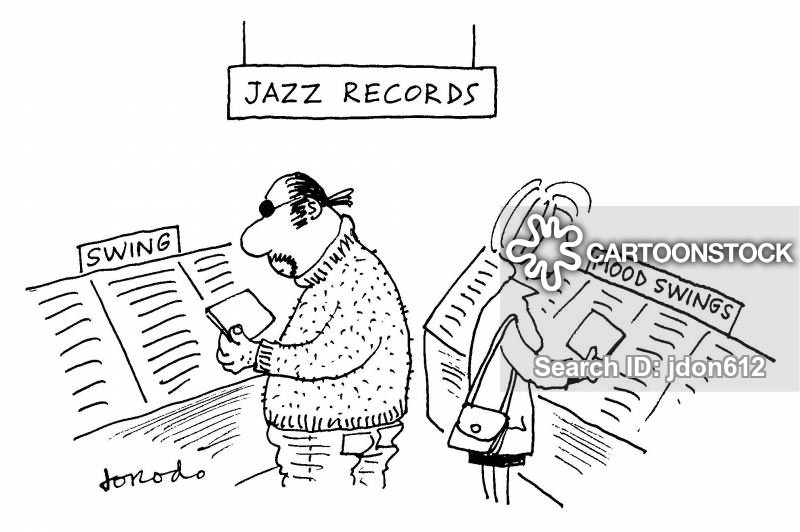 "They'd better be some damn fine oboes." 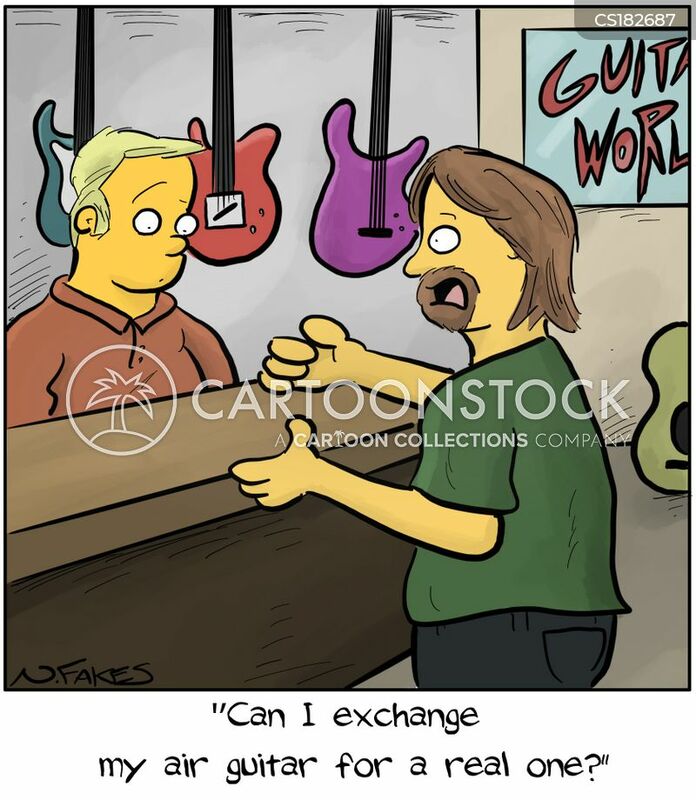 "Can I exchange my air guitar for a real one?" 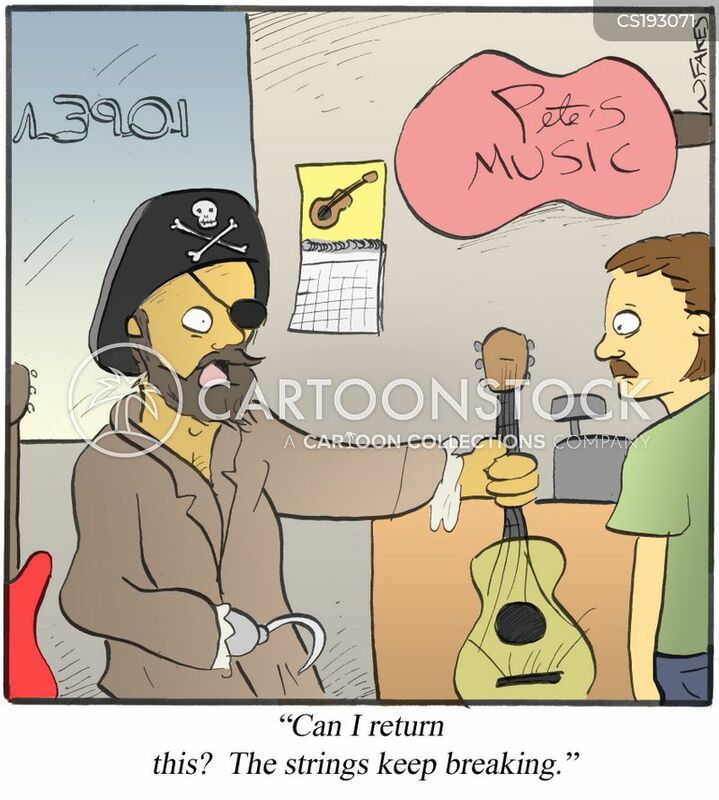 "Can I return this? 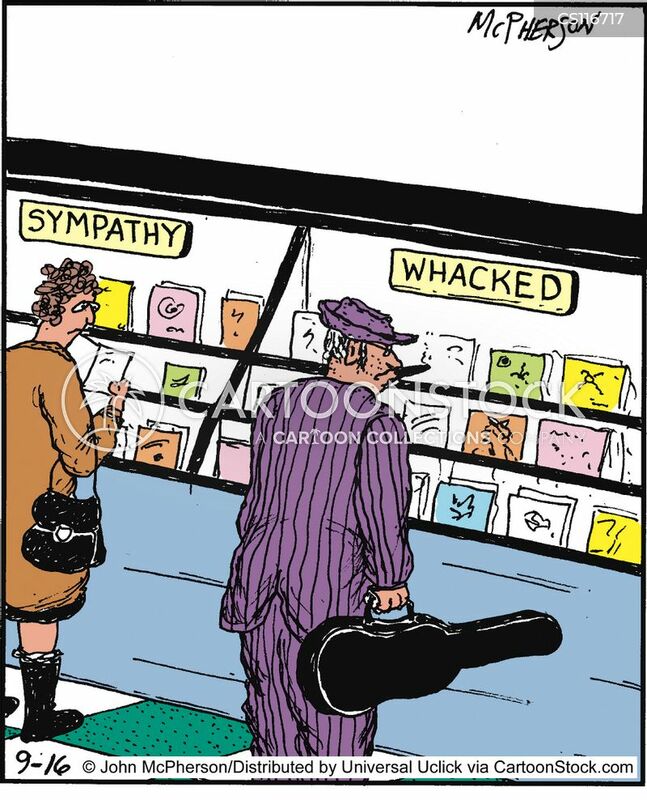 The strings keep breaking." 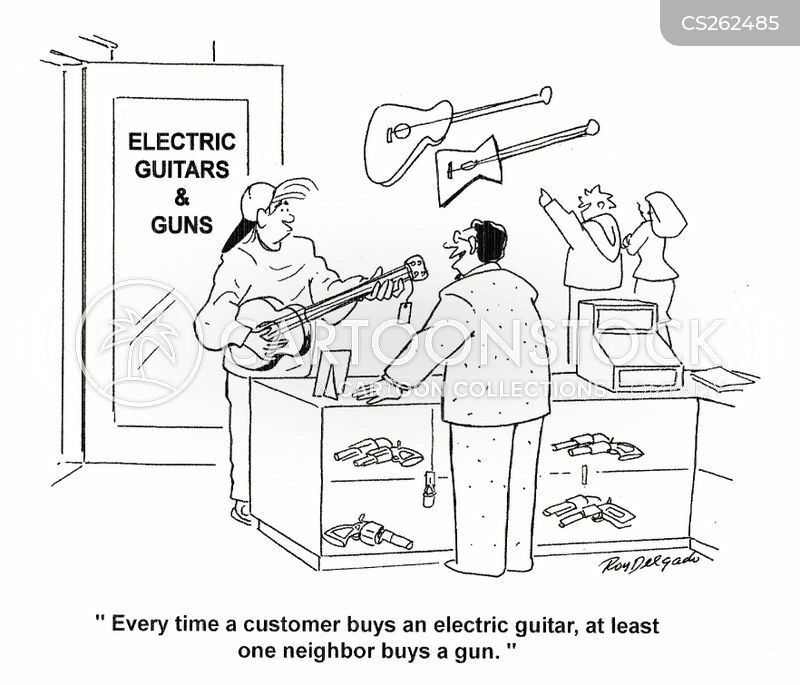 "Piano wire. 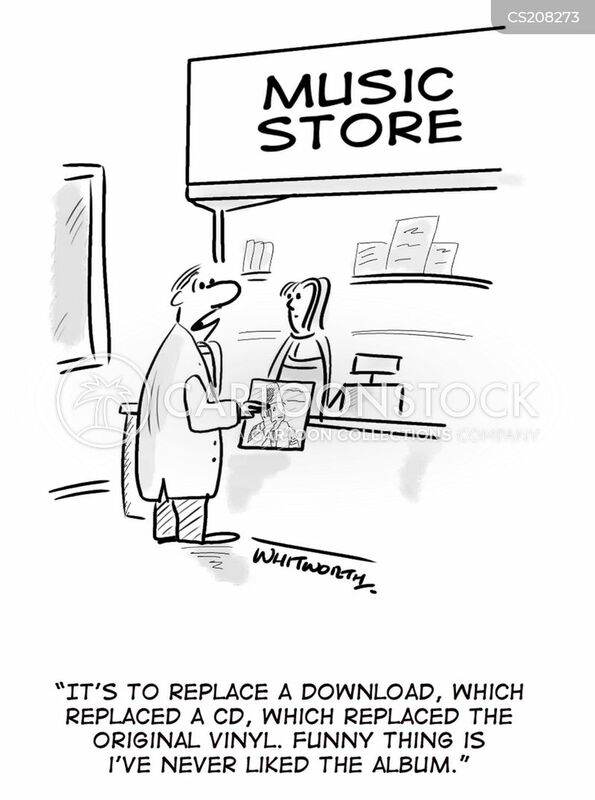 That would be on isle three." 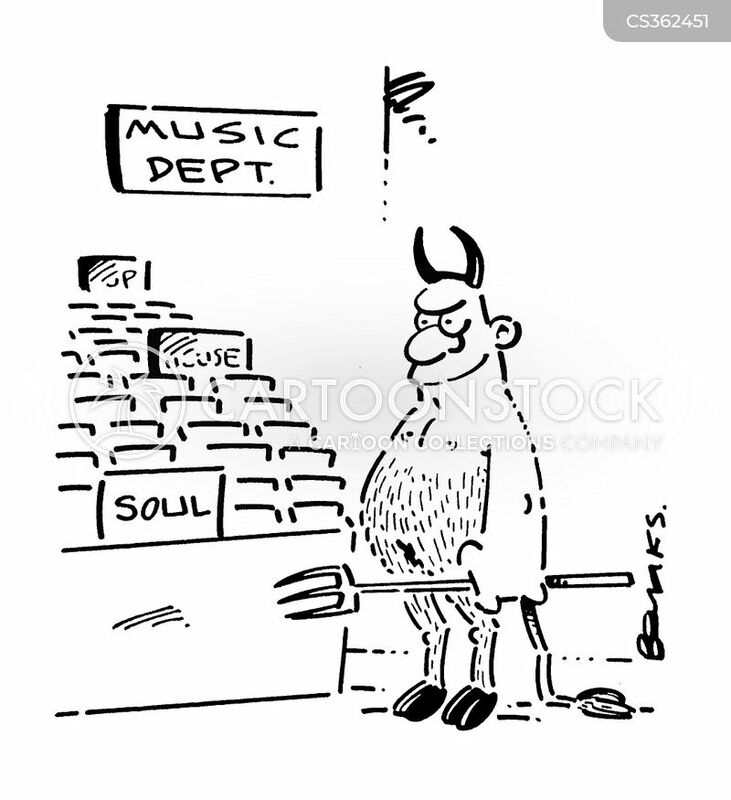 "Give me a middle 'C', please." 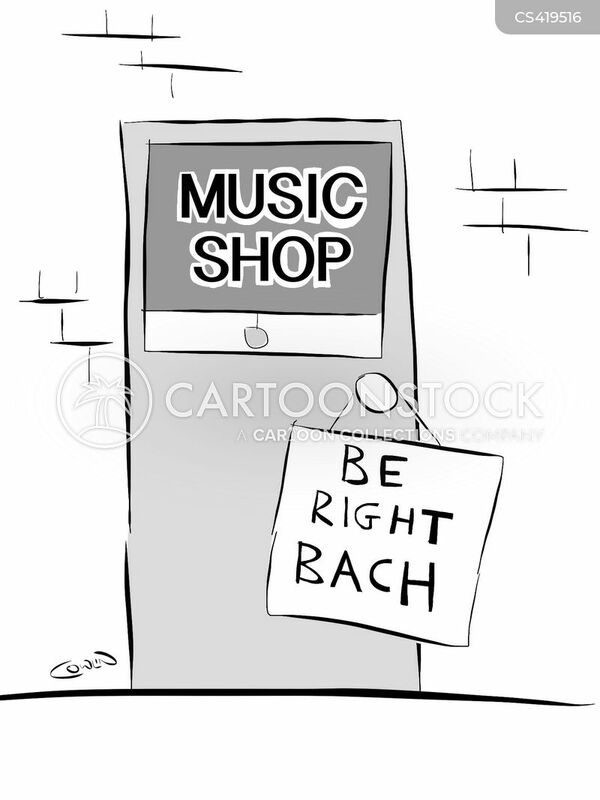 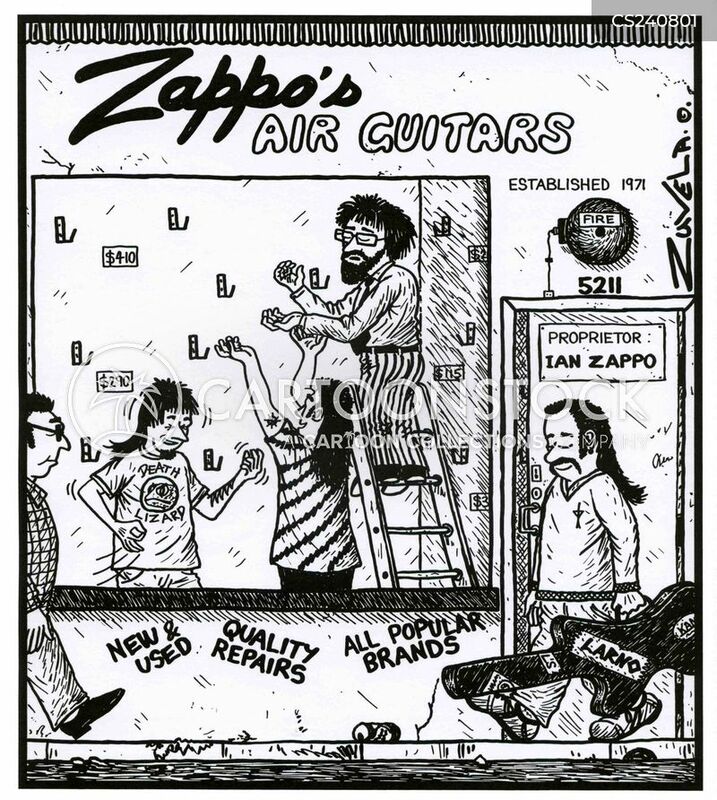 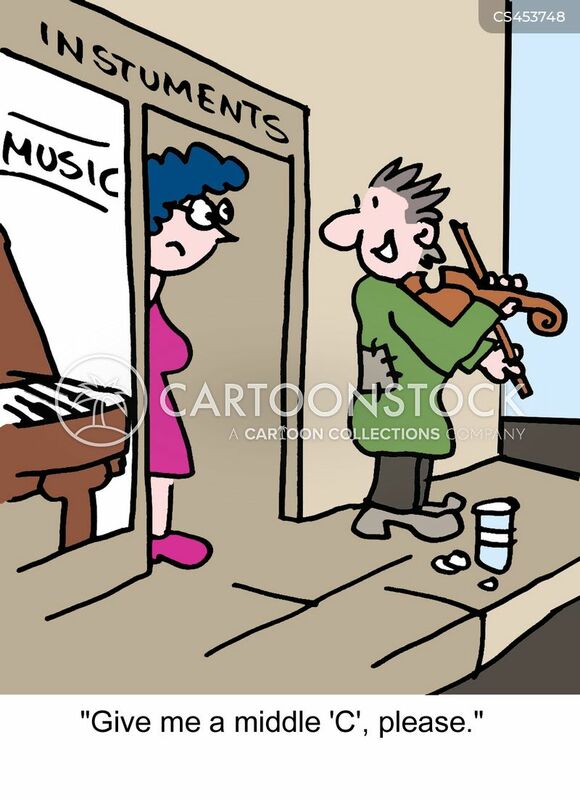 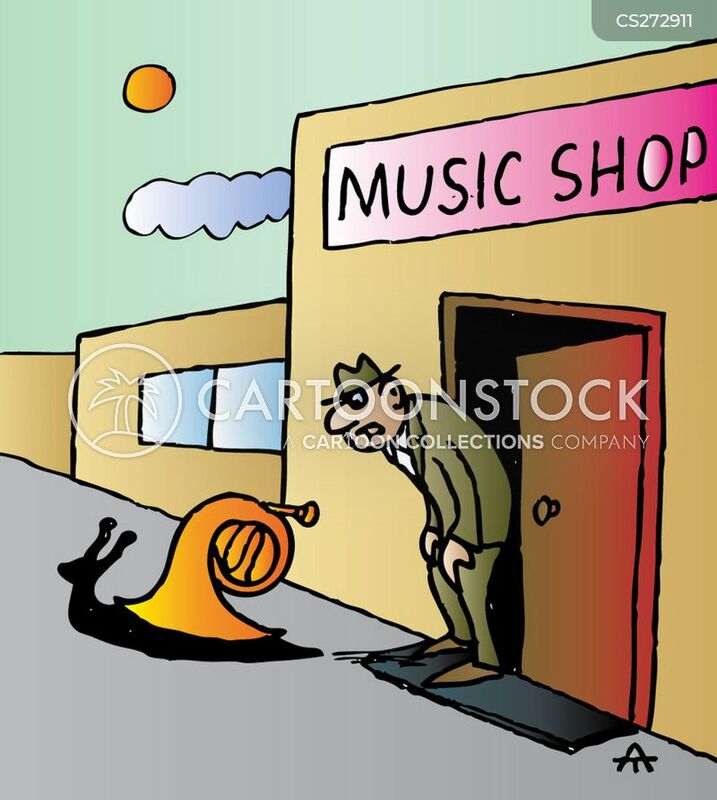 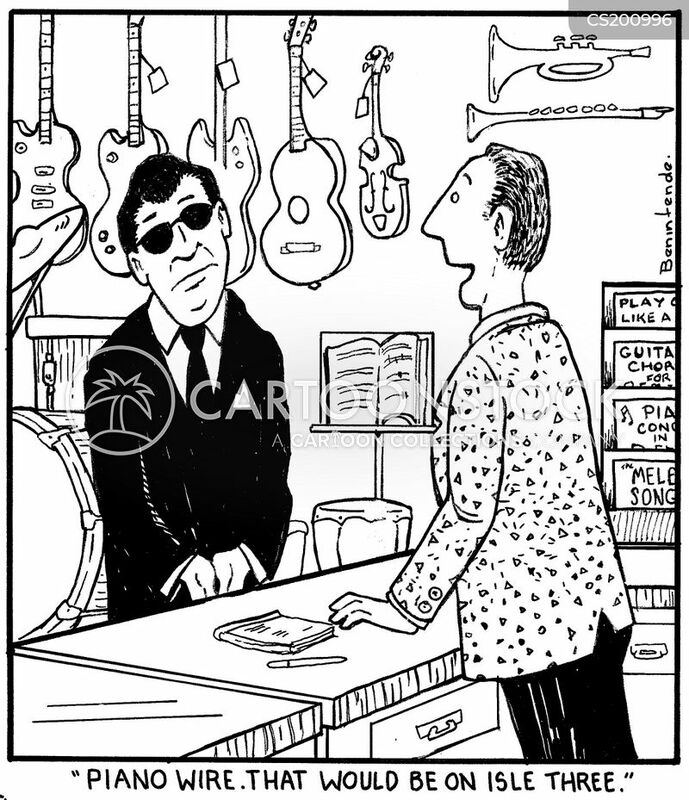 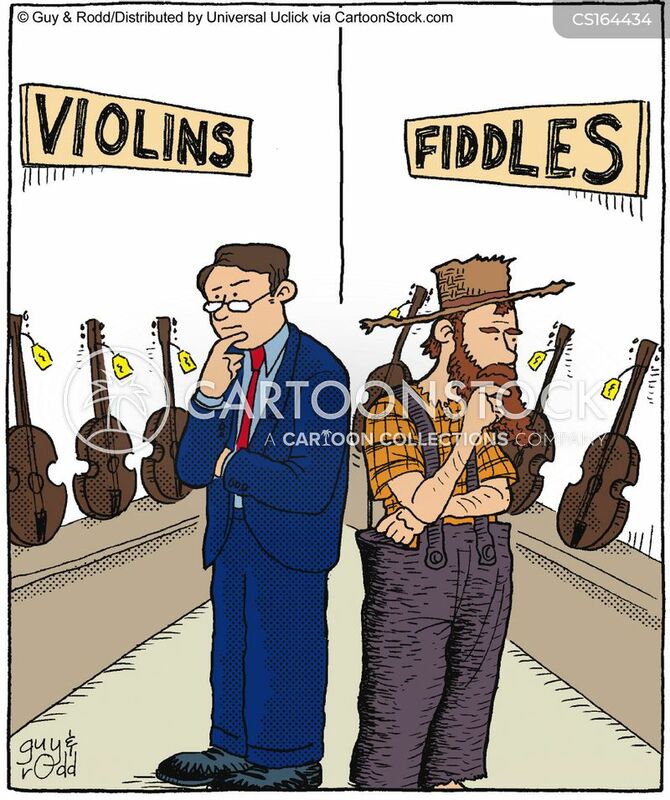 Music shop's sign: We have 'Sleigh Bells'. 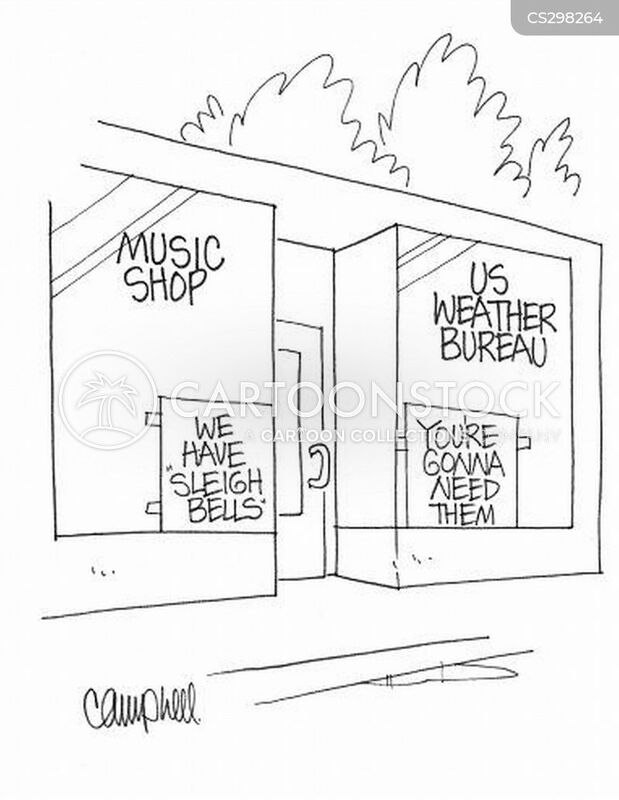 Weather Bureau's sign: You're gonna need them. 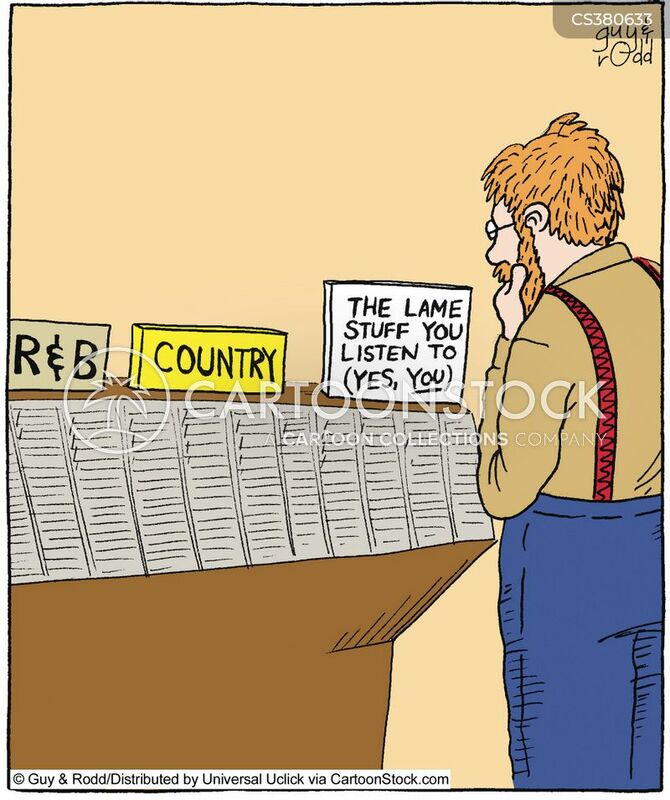 "What do you mean it doesn't work? 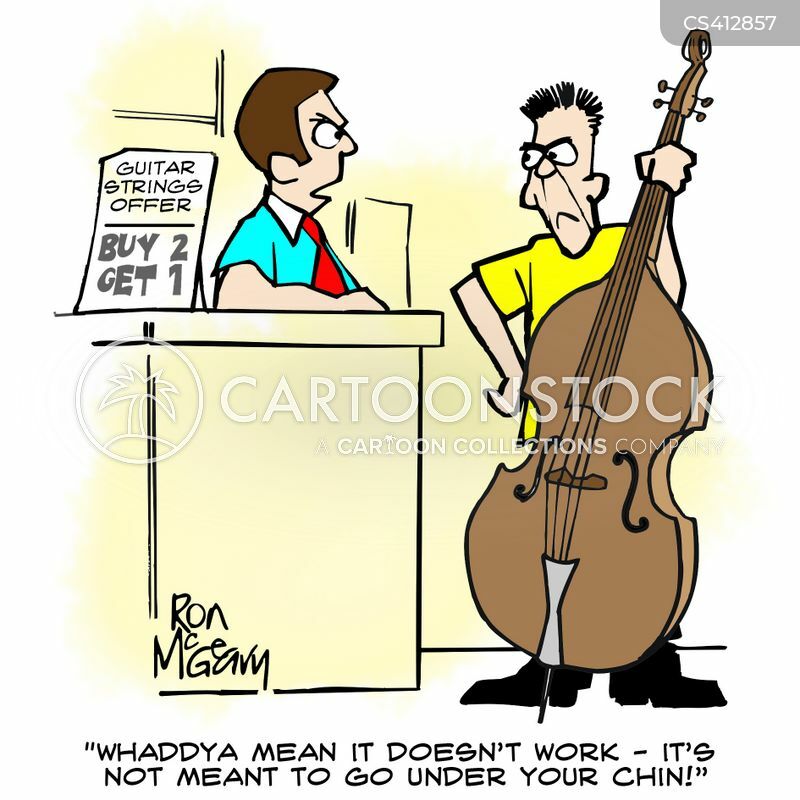 It's not meant to go under your chin!" 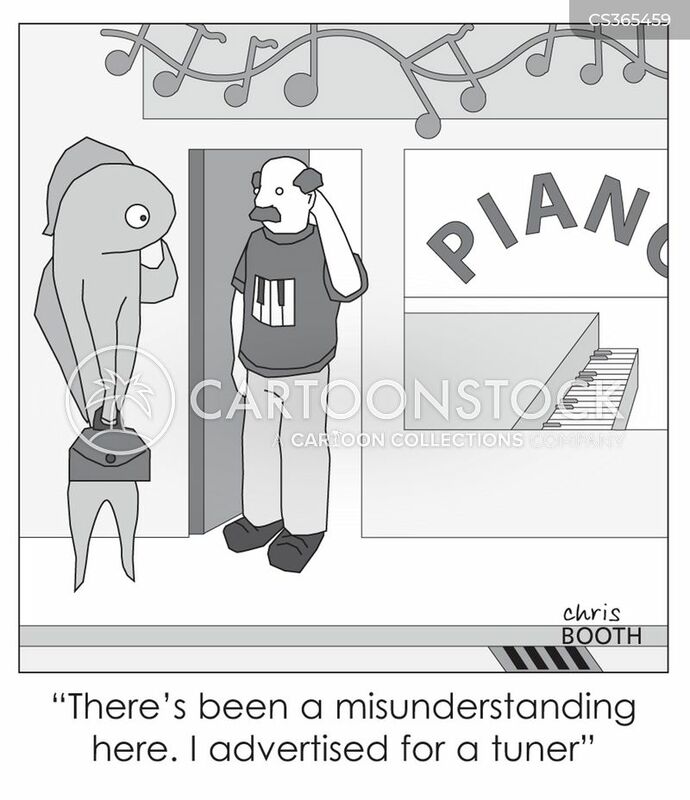 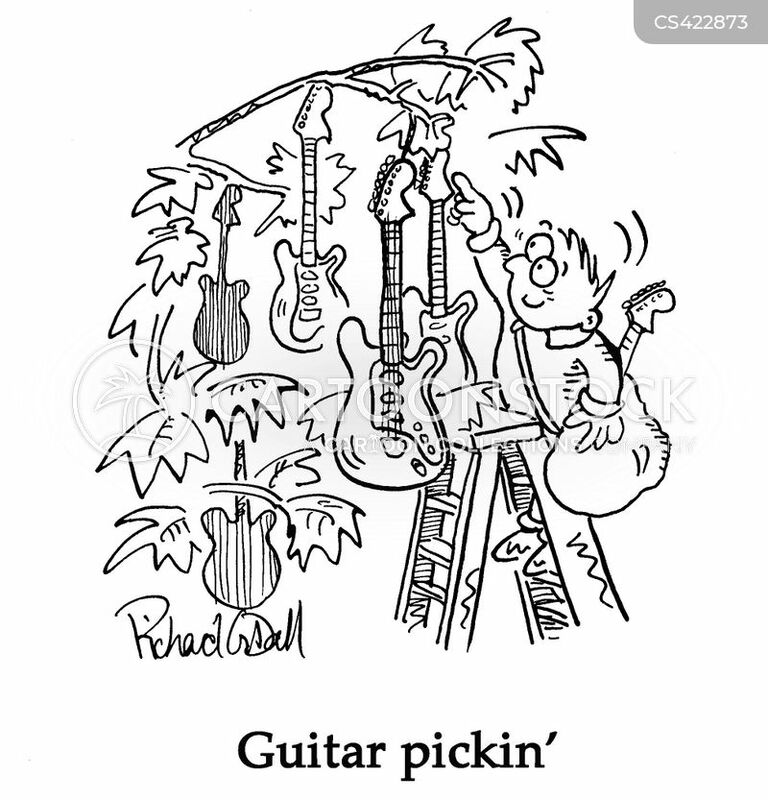 A tuner - not a tuna. 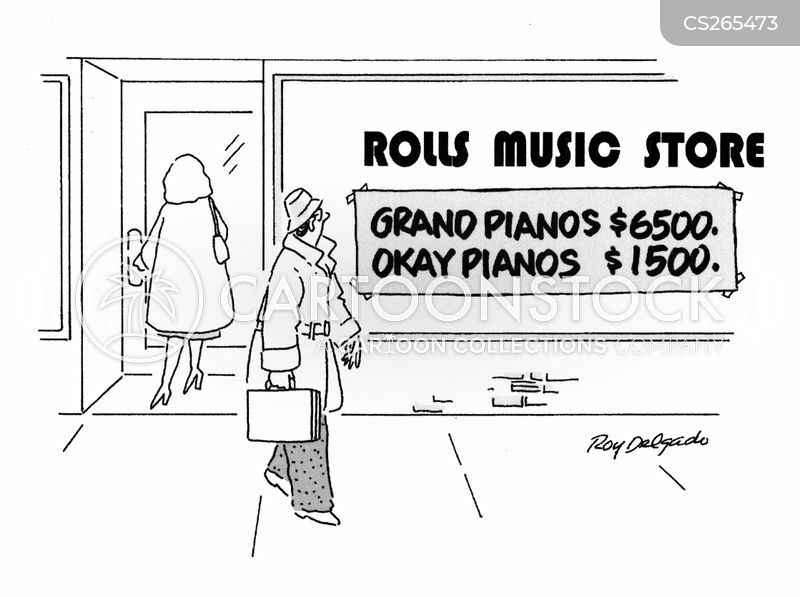 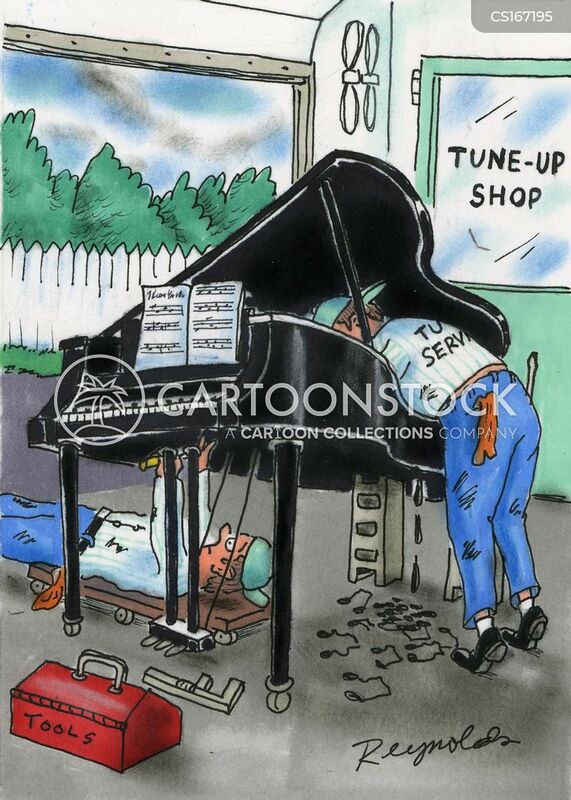 Rolls Music Store: Grand Piano $6500, Okay Pianos $1500.